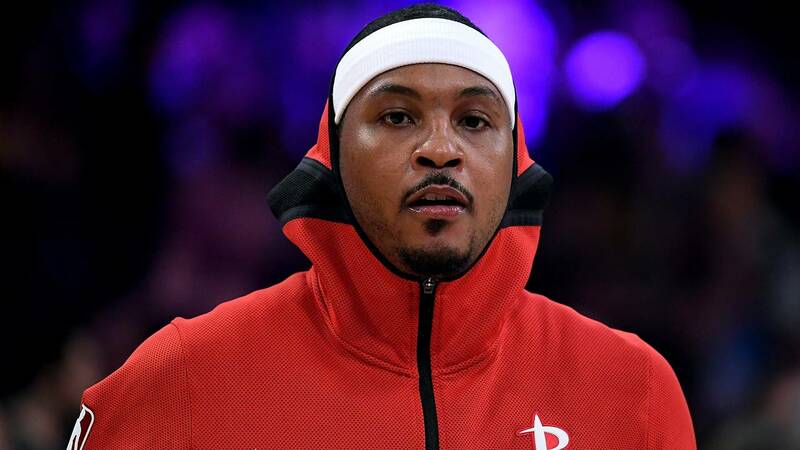 Carmelo Anthony warms up before the game against the Los Angeles Lakers at Staples Center on October 20, 2018 in Los Angeles, California. HOUSTON - Carmelo Anthony is going to Chicago, albeit only on paper. When that comes -- the only reason why it didn't happen Monday is because the NBA office was closed to commemorate the Dr. Martin Luther King Jr. holiday -- Anthony will have a new team, though still won't be back on the floor. The Bulls have no plans to play Anthony and will look to either trade him before the Feb. 7 deadline or ultimately waive him and make him a free agent.